MIYAVI is a musician, actor, and philanthropist, bridging cultures across the globe with his music and message. His unique style of guitar playing has taken him on 7 world tours in over 30 countries. 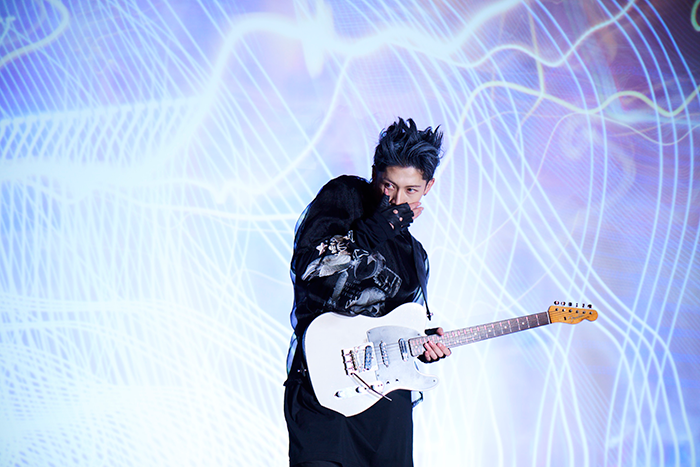 Fans refer to MIYAVI as the “Samurai Guitarist.” He has released 12 studio albums. As an actor, MIYAVI made his big screen debut in the Oscar nominated film Unbroken. He has since appeared in the 2017 blockbuster Kong:Skull Island and the live-action adaptation of the popular manga Bleach. His current filmography includes the recently released Stray (2019) and Maleficent 2 (2019). In December 2018, MIYAVI released the groundbreaking collaborations album Samurai Sessions Vol. 3: Worlds Collide on Universal Music Group. Each track on the album features a different artist laying down vocals over MIYAVI’s signature guitar sound. The stellar list of U.S.-based collaborators includes Oscar-nominated actor Samuel L. Jackson, Grammy nominated R&B artist Gallant, Grammy nominated Pop artist Mikky Ekko, Grammy winning producer RAC, Malaysian born R&B songstress Yuna, South Central LA rapper DUCKWRTH, “Hood EDM” rapper Bok Nero, “laptop punk” artist NVDES, and Australian born Pop artist Betty Who. The Japanese artists featured on the album include a who’s who of chart toppers including Rock artist SHISHIDO KAVKA, Pop artist Daichi Miura, Pop artist Miliyah, rappers Kreva and AK-69, and a posthumous collaboration with iconic singer-guitarist hide (X Japan). As a brand ambassador, MIYAVI has appeared as the face of Beats headphones in Japan and on billboards worldwide in Moncler’s Beyond campaign. He recently walked the runway at Paris Fashion Week 2018, modeling designer Yohji Yamamoto’s Y-3 collection. MIYAVI also continues his important work as a Goodwill Ambassador to UNHCR, visiting refugee camps in Lebanon, Thailand and Bangladesh, and performing at the United Nations in New York, spreading the message of the refugee crisis around the world. MIYAVI will be performing live in a special evening concert on Friday, April 19th. Wow! Super excited for this. Will tickets be necessary? I am also curious if tickets will be needed and if this will be on site at the convention or off site at a concert venue. Are there going to be tickets for this show, or is it a first-come-first-serve lineup?